St Peter’s House Library is part of University of Brighton's group of libraries. The five-storey library is located just opposite St Peter’s Church. The library houses 100,000 books and resources related to art and humanities catering to the students and staff of University of Brighton City Campus at Grand Parade. 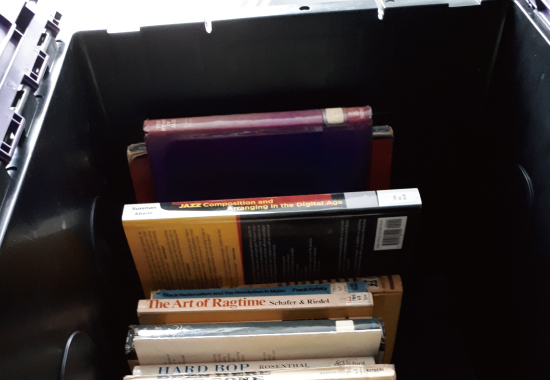 In 2018, St Peter’s House Library had a requirement for the relocation of its library book stock to Edward Baden’s storage facility during refurbishments. The refurbishment involved the addition of further bookcases to accommodate the extra stock of books from other Brighton University campus libraries. The project comprised of the packing of 2500 linear metres of library book stock into crates in sequential order, the removal of 532 bays of library racking, the retention of approximately 601 ninety centimetre shelving units, as well as the unpacking and re-shelving of the book stock onto new bookcases using the library’s Dewey Decimal Classification system. We assigned our highly skilled project supervisor to work closely with the Head Librarian at St Peter’s House in order to devise the best method of re-shelving the books in the refurbished layout and in line with the library’s Dewey Decimal Classification system. The solution was to label each bookcase with an individual number and the shelves within the bookcase with an individual alphabetical letter. Thus, packing the books into the crates following this sequence and labelling the crates using this scheme. The books had to be transported and organised accordingly. For this, the project supervisor managed two different teams, the Packing Team and the Relocation Team. 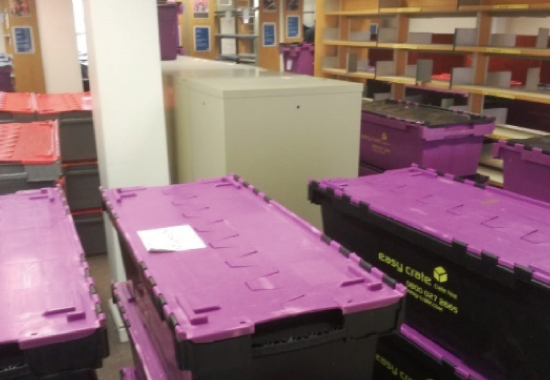 The Packing team handled the packing of books into one metre lidded crates, ensuring that the books were arranged in sequential order, from left to right using one crate per shelf. The team meticulously labelled both the inside and the outside of each crate with labels indicating a book’s new position on the shelves. 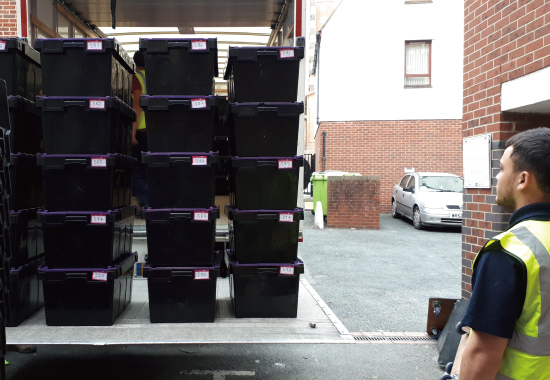 As soon as the books were safely secured into the crates, our Relocation Team transported the crates from St Peter’s House Library to our storage facility. Once the refurbishment of the library had been completed, the team relocated the crates back to the library and re-shelved the books onto the new bookshelves accordingly. We successfully completed the relocation project within the timeframe assigned to the assignment, which took place between the 9th June 2018 to 17th June 2018. Working closely with librarians to achieve a smooth relocation project. The team has become better acquainted with the Dewey Decimal Classification system, the most widely used method for classifying books in the library. 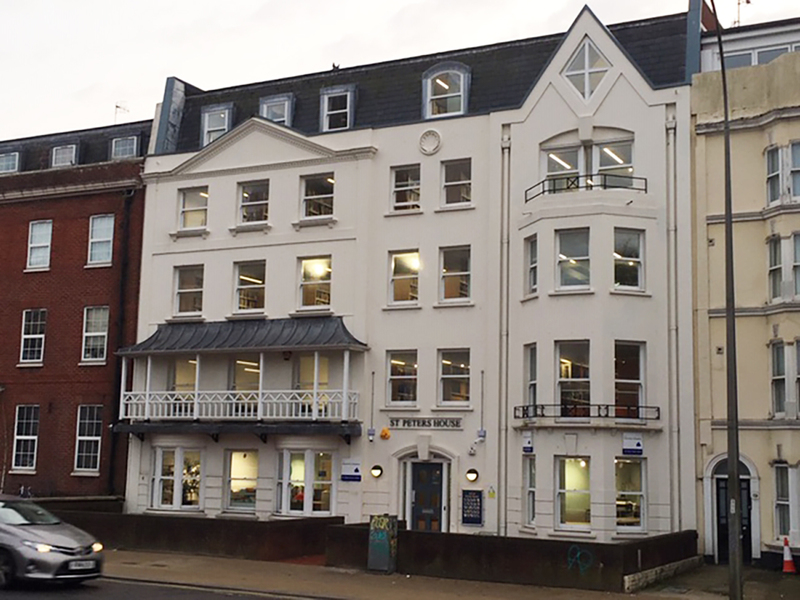 Apart from the relocation of the library’s book stock during the refurbishment, Edward Baden also assisted in the relocation of 14 staff members from St Peter’s House Library to two different locations. This included PC decommissioning and recommissioning, the relocation of 18-19 pieces of artwork to the base of the Grande Parade Campus, the removal of designated furniture to the Edward Baden storage facility, as well as the removal of designated furniture for environmentally friendly waste disposal. 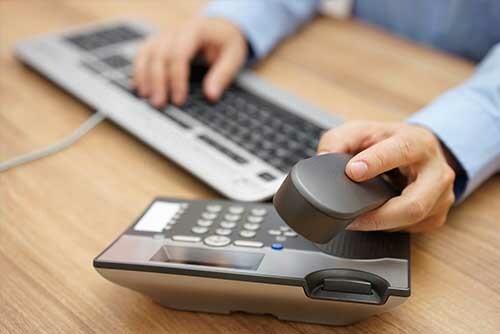 Should you require similar services, call us on 0800 169 5309 to speak to our friendly team. We will be glad to assist you.